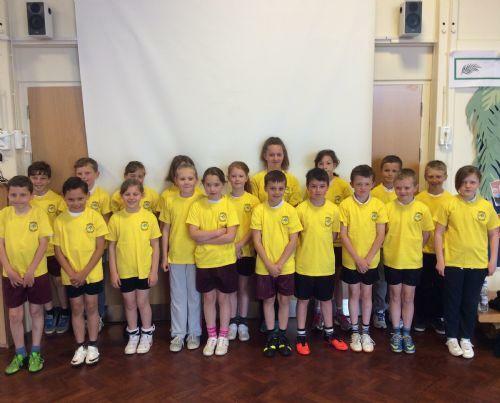 Well done to all the children who represented the school at the Quad Kids competition at Heathfield school. There was a strong team spirit with some outstanding individual performances. Individual performances by Kameron who came 1st in year 3 /4 boys. Alfie who came 3rd in year 3 / 4 boys and Charlotte who came 1st in year 3 / 4 girls. The Year 3 /4 team gained 1st place and will now compete in the next round at Bosworth Academy on Tuesday, 10th June.